Today is your last chance to get The Secrets of Top Students ebook for only $2.99! The Secrets of Top Students: Special Sale! 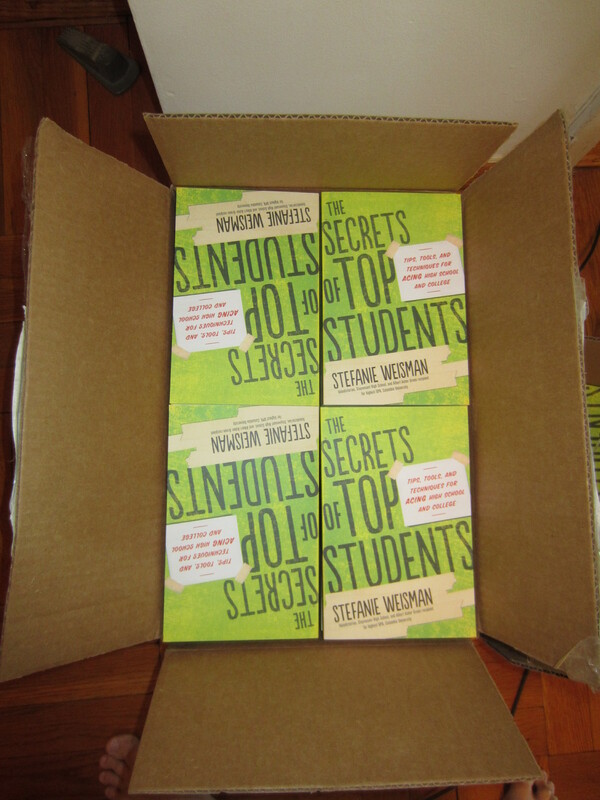 Today is my birthday, but more importantly – for me, at least – it’s also the official release date of my book, The Secrets of Top Students: Tips, Tools, and Techniques for Acing High School and College! As a birthday gift from my publisher, I got fifty free copies of my book – which I now have to distribute to influential people, I suppose. (Anybody in the media or education want a copy?) But it’s such a cool feeling to hold my own book in my hands. It’s kind of like holding your baby for the first time. It’s also been a crash course in marketing and publicity for me. I’ve already had some mentions in the press (for example, in the New York Post and the IMT Career Journal). And I’m lining up talks and at least one book signing. It’s pretty exciting, and a bit overwhelming! Available at Amazon, Barnes & Noble, and other fine booksellers. Guest Post by Katherine Laramie. Katherine is a freelance writer who lives in Orlando, Florida. 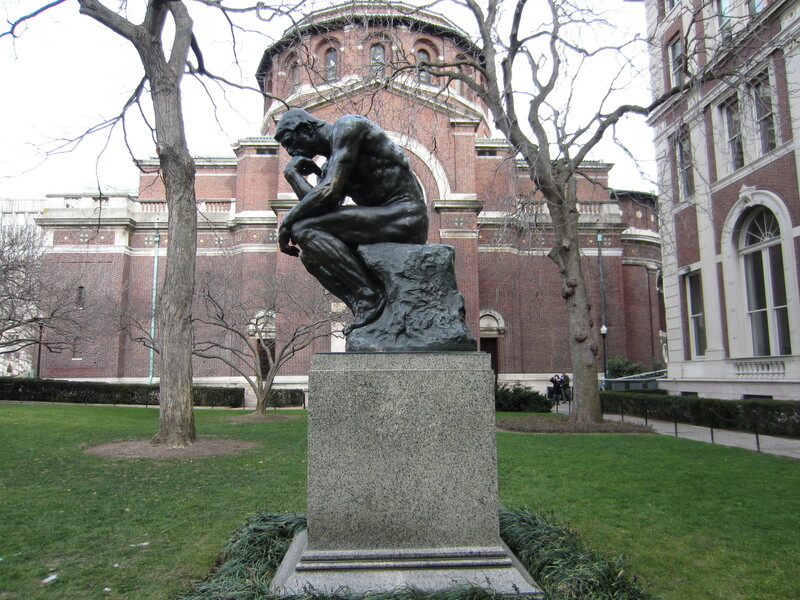 In David Glenn’s essay “Procrastination in College Students is a Marker for Unhealthy Behaviors” in The Chronicle of Higher Education, procrastination is referred to as “anxiety avoidance” and “self-defeating behavior.” The article suggests that procrastinators are less worried about future success or failure, and says they experience high anxiety because of the negative feelings associated with committing to a night of doing schoolwork. If you’re guilty of postponing your studies, “wishful thinking” and “rationalizations,” then the following tips may help you improve your performance for a class or achieve that online art degree. Your future depends on graduating from school. Graduation depends on passing classes. Passing classes depends on high exam scores. Scoring highly on an exam depends on excellent studying skills. Ah, the anxiety sets in. Physiological stress follows. Failed attempts at studying are the end result. By eliminating the anxiety that’s associated with school work, you can eliminate subsequent negative, self-defeating feelings that disrupt your academic focus and obligations. Free your mind from external stressors, agendas and obligations. Remind yourself that you’re nurturing your brain and acquiring knowledge. Embrace that you’re educating yourself. You actually want to improve your mind with this subject matter. Focus less on the exam. 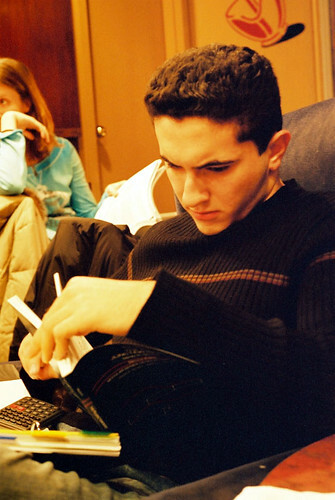 By putting less emphasis on scoring highly, you’re alleviating yourself of pressure — and thus anxiety that pushes you to delay your studies for another day. Losing focus and succumbing to distractions is natural and to be expected while studying. Don’t be defeated by these moments of weakness, which can manifest into negative thoughts and abandoned studying. Take a small break, breathe and get back in the game. Changing your scenery and location. If you’re at home, move to a different room. If you’re at the library, change floors and desks. Drinking water. Hydrate and refresh your mind and body. Playing music. The soothing and calming music of cellist Yo-Yo Ma can provide new sensory that re-energizes your studying. Editor’s Note: My new book, The Secrets of Top Students, contains lots of advice on how to study for exams and avoid procrastination. Order it now on Amazon! The following is my book’s official press release. It’s getting closer! Stefanie Weisman is the epitome of the successful student—valedictorian at Stuyvesant High School and recipient of the Albert Asher Green Prize for the highest GPA in her graduating class at Columbia University, among other honors. How did she achieve academic success? It may be surprising to learn that Weisman developed the skills that led her to become a top student because of an undiagnosed learning disability in which she struggled with listening comprehension. Weisman, along with top students including valedictorians, Rhodes and Fulbright scholars, and even a National Spelling Bee champ, shares learning tips and techniques in her forthcoming book, The Secrets of Top Students: Tips, Tools, and Techniques for Acing High School and College (ISBN: 9781402280795; MAY 7, 2013; $14.99 U.S.; Study Aids; Trade Paper). Weisman contends that being a top student is a lifestyle and outlines practical strategies for studying smart, learning well, and staying motivated. Written in a conversational, down-to-earth tone, The Secrets of Top Students shows students how to maximize learning and get the grades they want. Do you do great on homework and essays, but freeze up on exams? Do you have nightmares about the SAT? Two recent articles in The New York Times and Time magazine address this common malady, and they have some interesting advice on how to bring your nerves under control. 1. Engage in “expressive writing.” Spend ten minutes before the exam writing about your thoughts and feelings. This helps you cast off your anxiety and focus on the task at hand. 2. Do a “values-affirmation exercise.” Choose something that’s important to you – for example, music, family, religion, anything – and write about why it matters to you. Research has found that minority and female students who did this improved their test-day performance. 4. Make sure you’ve prepared for the test the right way! It may not be enough to read and re-read your notes and books – you should also take practice tests, ask yourself questions about the material, and try to predict what’s going to be on the exam. 5. Do relaxation exercises, such as yoga. The article describes how third-graders who were taught breathing and relaxation exercises showed a significant reduction in test anxiety. The article talks about the COMT gene, which has two variants: one that slowly removes dopamine from the brain, and another that clears it quickly. People carry one variant or the other, or a combination of the two. Studies have found that under normal conditions, those with the slow-acting variant have a cognitive advantage. However, in stressful situations – e.g., test time – the people with the slower enzyme can’t remove dopamine fast enough, and those with the speedier kind take the lead. They’re often the ones who do better on tests. Some researchers have labeled those with the fast-acting enzyme “Warriors” and those with the slower variant “Worriers.” One isn’t necessarily better than the other, it’s just that the Warriors may have an advantage in situations such as tests. About half of us are a mix between Warrior and Worrier, while a quarter carry Warrior-only genes, and a quarter are Worrier-only. The study found that the students were still stressed, but that “it had different physiological manifestations and had somehow been transformed into a positive force that drove performance.” The researcher also found that “the people told to feel positive about being anxious had their blood flow increase by an average of more than half a liter per minute, with more oxygen and energy coursing throughout the body and brain. Some had up to two liters per minute extra.” Amazingly, hearing that stress is beneficial can improve your cognitive function! 2. “Inoculate” yourself to stress by engaging in competitive activities you might actually enjoy, such as math competitions, trivia contests, spelling bees, science fairs, chess teams, etc. Although these things can be stressful, they can also be fun and rewarding. And getting used to competition will make it easier to take tests.